WAIST HIGH: Happy Birthday Ian Craig Marsh. Happy Birthday Ian Craig Marsh. Taking their name from the Anthony Burgess novel A Clockwork Orange, the U.K. techno pop trio Heaven 17 grew out of the experimental dance project the British Electric Foundation, itself an offshoot of the electro pop outfit Human League. The core of Heaven 17 was comprised of Martyn Ware and Ian Craig Marsh, a pair of onetime computer operators who first teamed in 1977 as the Dead Daughters, a duo which integrated synthesizer patterns with a heavy reliance on tape loops. Soon, Ware and Marsh were joined by Philip Oakey and Adi Newton and changed their name to the Human League, where they remained before exiting together in 1980. As a means of establishing the synthesizer as an expressive, human instrument, Marsh and Ware formed the British Electric Foundation, a production project which employed a variety of musicians and singers including Tina Turner, Sandie Shaw, and Gary Glitter. The B.E.F. 's debut, 1980's Music of Quality and Distinction, Vol. 1, also included vocalist Glenn Gregory, a former photographer whom Ware and Marsh met at a Sheffield drama center. 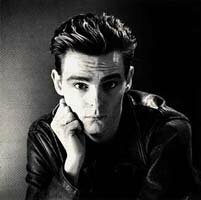 In 1981, the duo enlisted Gregory for Heaven 17, the first and most successful B.E.F. alter ego, and debuted with the single "(We Don't Need This) Fascist Groove Thing," a minor hit banned by the BBC over its title. An album, Penthouse and Pavement, followed the same year. By the release of 1983's The Luxury Gap, the B.E.F. had fallen by the wayside, and Heaven 17 had become Ware and Marsh's primary focus. The LP proved highly successful, spawning the hit singles "Temptation," "Come Live With Me," "Crushed by the Wheels of Industry," and "Let Me Go." The follow up, How Men Are, was another British hit, but the group receded from view after its release. When they returned in 1986 with the album Pleasure One, it was with a number of guest musicians and vocalists. After the commerical failure of 1988's Teddy Bear, Duke & Psycho, Heaven 17 officially disbanded.